Kent Vegetable & Fruit Purifier has a sleek and modern design. It can be mounted on a wall or can be placed on a counter. It is compact and portable. Kent Vegetable & Fruit Purifier is based on revolutionary Ozone disinfection technology that effectively kills bacteria, viruses, fungus and other pathogens from the surface of vegetables, fruits and meat. Ozone disinfection technology produces highly reactive Ozone gas that successfully oxidizes traces of pesticides, insecticides and other harmful farm chemicals thereby, making food fit for human consumption. Ozone disinfection technology also cleans out antibiotics and hormones that invariably end up in meat, poultry and seafood. Food purified by Kent Vegetable & Fruit purifier remains fresh & de-odorized for longer duration and has a higher shelf life. 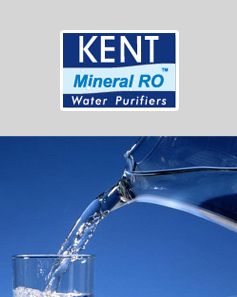 Kent Vegetable & Fruit Purifier does not use any consumables for producing Ozone. It is produced using oxygen present in the atmosphere. Hence it does not require any service or replacement of any parts.